Save money by booking a Lafox vacation package. Just select your favorite options and let Expedia do the rest. Our exhaustive database features more than 400 partner airlines and 321,000 worldwide properties. With such a fantastic range to pick from, you really can't go wrong! Still undecided? There are no hidden fees from us for changing almost any reservation. It can be quite nice to just roam the streets when you're somewhere new, but sometimes it's sensible to make a plan. Grab your schedule — we have loads of excellent ideas for your Lafox vacation. Wouldn't mind adding some deeper meaning to your trip? Go on a pilgrimage to Saint Martin Church. No matter what your spiritual beliefs, it's a great place to connect with the local faith. There's an excellent range of things to do in and around this destination. Consider yourself an art aficionado? Treat your eyes to intriguing works and find out the story behind them at Musee des Beaux-Arts. Still got time to spare? Find out when Sunday Mass is held at Saint-Caprais Cathedral. When you're there, take some time to bow your head and indulge in some quiet meditation. 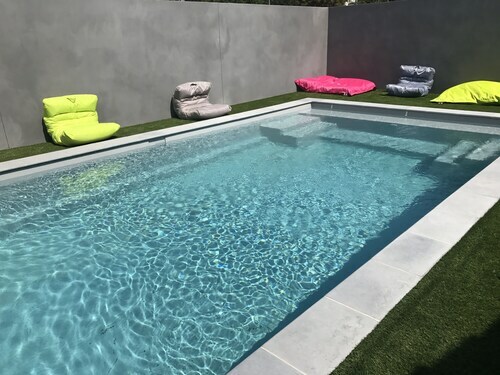 Lafox has approximately 15 properties, so select a comfortable room for your cheap vacation or luxury getaway via Expedia and begin planning all the exciting activities. Try the Chateau des Jacobins (2 rue M. Jacob) and the Appart'hôtel Astoria (1350 avenue du Midi). 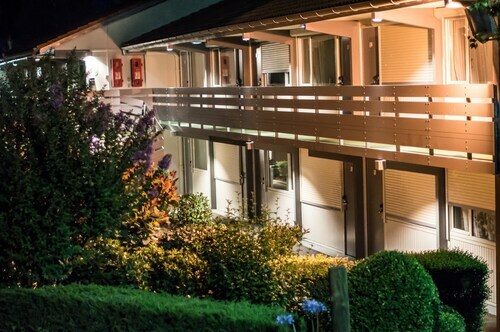 These sought-after accommodations don't only come with comfy beds — they come with terrific reviews as well! If you're arriving by plane, it's most likely that you'll be heading for Blagnac Airport (TLS). After you've collected your luggage from the carousel and headed outside, the heart of Lafox will be just 50 miles (80 km) away. 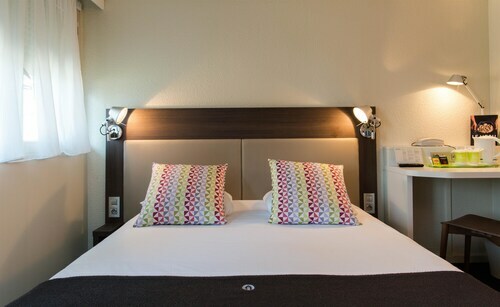 Situated in Agen, this hotel is within 1 mi (2 km) of Parc des Expositions and Stade Armandie. Notre Dame Du Bourg and Musee des Beaux-Arts are also within 2 mi (3 km). Located in the heart of Agen, this hotel is within a 10-minute walk of Place Goya, Notre Dame Du Bourg, and Saint-Caprais Cathedral. Musee des Beaux-Arts and Stade Armandie are also within 1 mi (2 km). Agen Station is 6 minutes by foot. 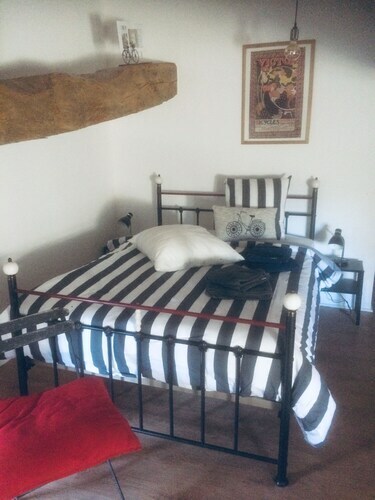 Situated in a rural location, this guesthouse is within 9 mi (15 km) of Stade Armandie, Musee des Beaux-Arts, and Place Goya. Notre Dame Du Bourg and Parc des Expositions are also within 9 mi (15 km). Located in the heart of Agen, this residence is within a 5-minute walk of Place Goya, Notre Dame Du Bourg, and Saint-Caprais Cathedral. Musee des Beaux-Arts and Stade Armandie are also within 1 mi (2 km). Agen Station is 5 minutes by foot. Situated in Pujols, this hotel is within 2 mi (3 km) of Church of Ste-Catherine, Place Lafayette, and Pujols Historic Town. Grottes de Fontirou and La Ferme du Lacay are also within 9 mi (15 km). 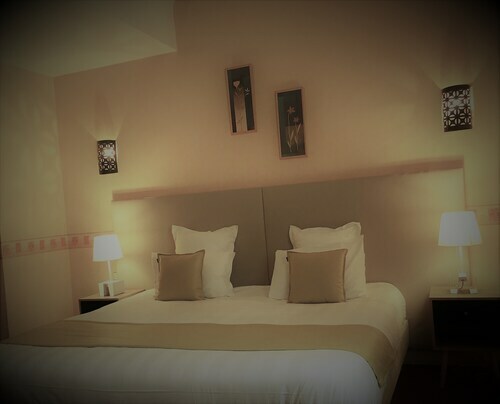 Situated in the suburbs, this hotel is 2.1 mi (3.5 km) from Golf Club Agen Bon-Encontre and within 6 mi (10 km) of Place Goya and Saint-Caprais Cathedral. Musee des Beaux-Arts and Notre Dame Du Bourg are also within 6 mi (10 km). Situated in Agen, this hotel is within a 10-minute walk of Place Goya and Notre Dame Du Bourg. Saint-Caprais Cathedral and Musee des Beaux-Arts are also within 15 minutes. Agen Station is 9 minutes by foot.